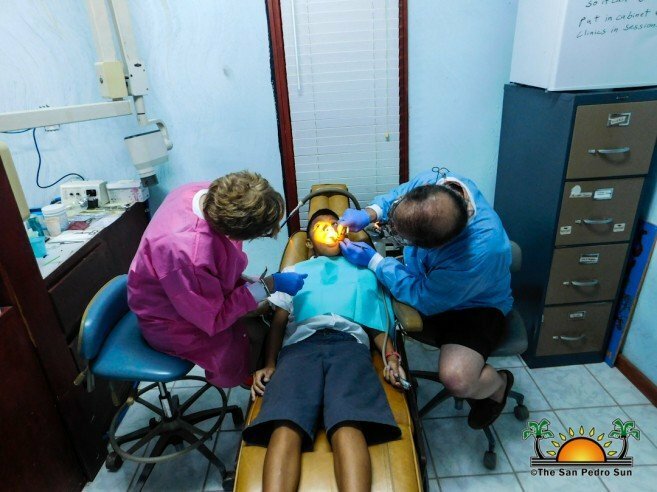 For the past 13 years, the San Pedro Smile Center Dental Clinic, located at the Holy Cross Anglican School (HCAS) in the San Mateo Area of San Pedro Town, has been hosting volunteers that provide free dental services to Belizean children and other members of the community. The clinic also educates children on the importance of good dental care, with the hope that they can pass on that same mentality to residents of their community and even their own children in the future. The HCAS Smile Center was founded by Dr. Mark Johnson from Annandale, Minnesota, USA. 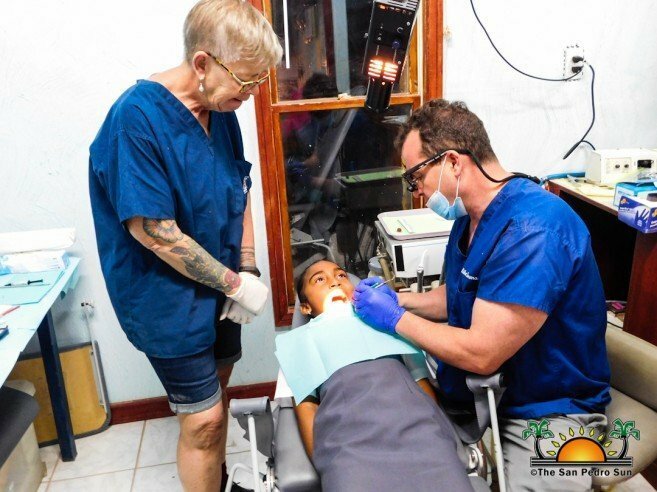 Over the years, Dr. Johnson and his wife Joan, a dental hygienist, have been organizing and coordinating efforts to have the clinic up and running so that volunteer dentists can come to San Mateo Area to provide effective and efficient services to the students. The clinic has been fully equipped with modern dental equipment and supplies, all generously donated by health care professionals who care about the dental health of HCAS students and all the children of Belize. Dr. Johnson shared with The San Pedro Sun that he is thrilled to be celebrating 13 years of free service to the community of Belize. “We are very happy to give back to the people of Belize as we have been treated wonderfully by them over the last 20 years of being here. We have had many wonderful and generous volunteers through the years, and hopefully, all that will continue,” he said. To celebrate their 13th anniversary, the dental clinic hosted dental volunteers from Monday, April 8th through Wednesday, April 10th from 8:30AM to 3PM. 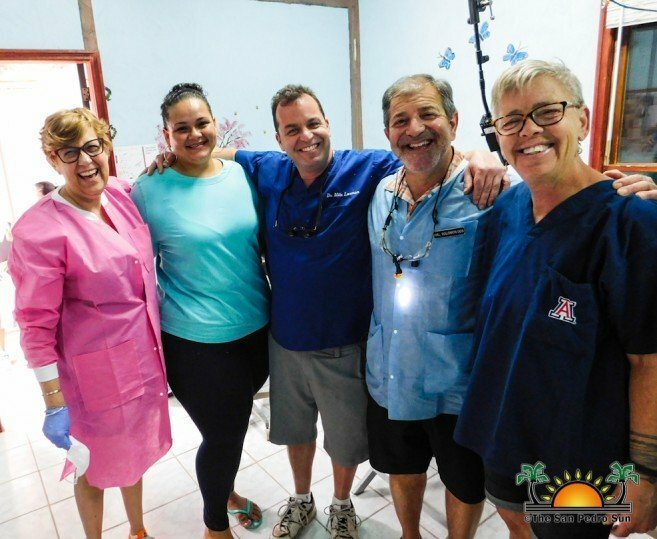 The volunteers who provided free dental services to the children were Doctor Mike Lorman, Doctor Hal Solomon, Dona Duallo and Julie Feeley from Milburn, New Jersey, USA. The services offered by the volunteers included dental cleaning, sealants to prevent cavities, fillings, fluoride varnish and oral hygiene instruction to the students. The teams also encouraged the children to brush their teeth at least twice a day.